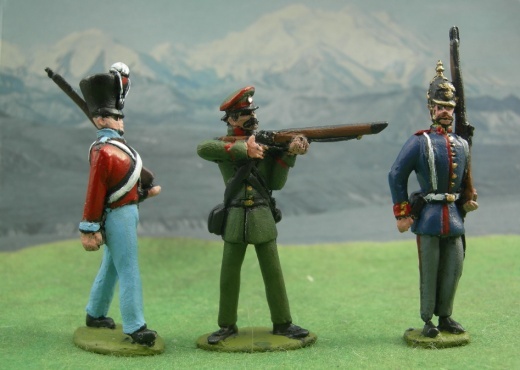 LSW1, 13 & 18, Danish infantry and Jaeger and Prussian infantry. 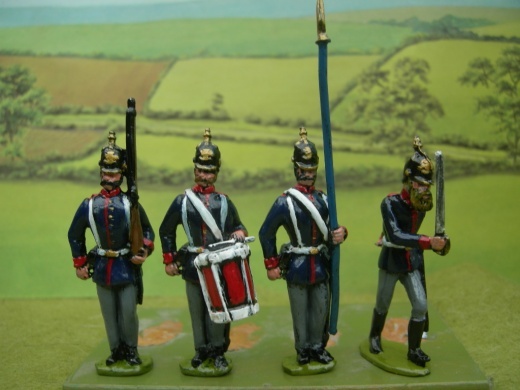 LSW 1 & 5 Danish infantry. 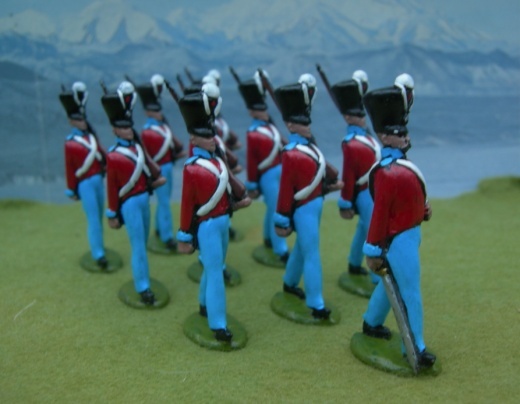 LSW 13 Danish Jaeger infantry standing firing in frock coat and fatigue cap (same basic figure as LWS 7)! 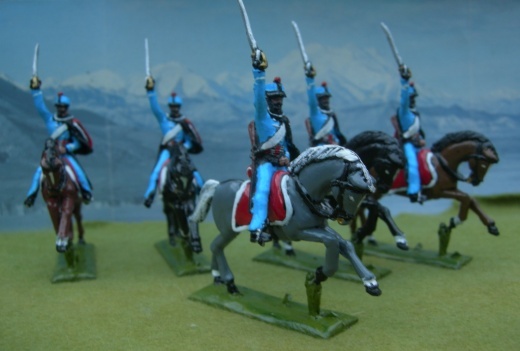 For Danish dragoons, use LWAP 7 & 8 from our Austro Prussian wars range. 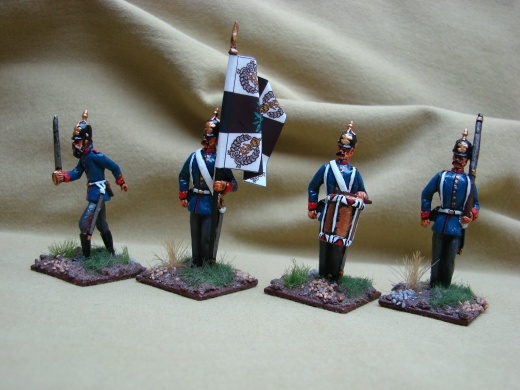 For Wurtemburg reiters use LWG 16, 32, 33 & 34 from our Franco Prussian wars range. 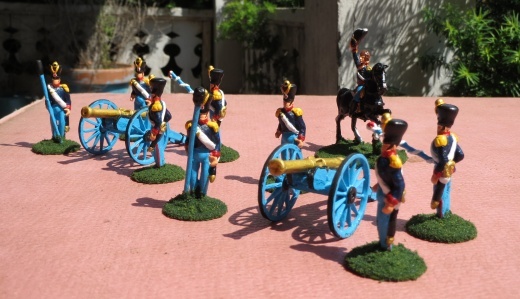 LSW 22, 21, 19 & 18 beautifully painted by Marczell Kolos. 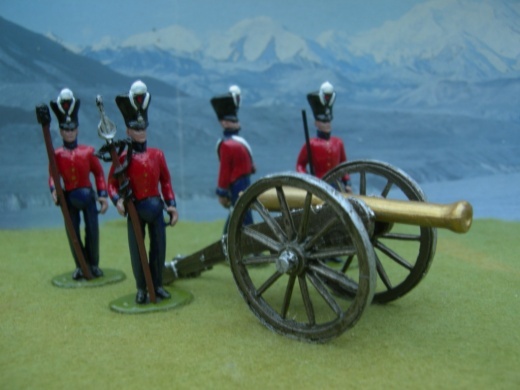 A battery of LWS 6. Painting and photography by Timothy Boyd. 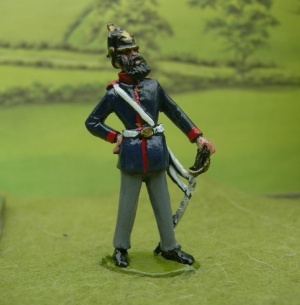 LWS 17, wearing a picklehaube head instead of the Danish type! Another view of LWS 18, 19, 21 & 22.